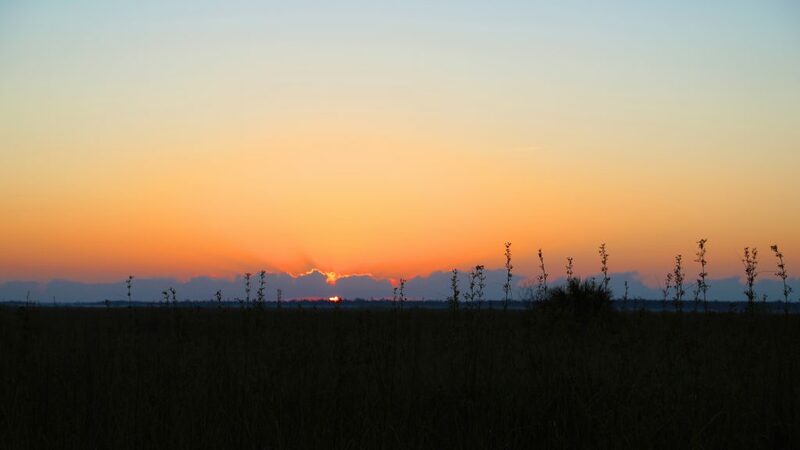 Everglades National Park is the largest subtropical wilderness in the United States and is home to several threatened and endangered species like the American Crocodile, manatee and the Florida Panther. Planning is essential before visiting Everglades National Park as it is 1.5 million acres and can be accessed from several areas. Most people visit during the winter dry months of December through March as the wildlife is more abundant and the mosquitoes are tolerable during this time. Anyone who has been to the Everglades in the summer can attest to this after donating a couple pints of blood! 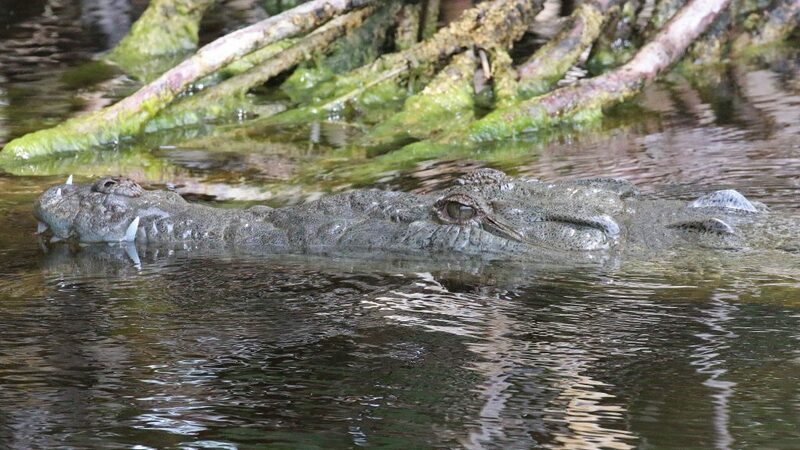 Here is my list of favorite things to do Everglades National Park in Florida. Visit Robert is Here for a Key Lime Milkshake! The Anhinga Trail is a .8-mile loop trail that is a must for any park visitor to the Everglades. The amount of wildlife is crazy along this trail! It almost feels like you are walking in a zoo except there is no barrier between you and the wildlife. For this reason, the park service has had to put up signs warning people not to approach alligators and snakes! Seriously! I should not be surprised; wildlife jams occur in many of our National Parks. For those not familiar with the term wildlife jam, this is a random event that occurs in parks where flocks of tourists seek out wildlife and desire to see wildlife in their natural setting. When there is a wildlife sighting, tourists lose their mind, park anywhere creating a traffic jam. Tourists then immediately jump out of their cars and begin running towards wild animals with cameras in hand. Please exercise caution when approaching wildlife. I know it’s easy to get excited but this is for your safety and the safety of the animals. Remember these animals are wild. The Anhinga Trail is a fantastic trail during the winter months but you may need a gallon of bug spray in the summer if you plan on taking this hike. You will also most likely still end up looking like you have a case of the chicken pox and disappointed that you didn’t see much for wildlife either as the animals disperse in the wet season. Most people tend to think of the beach for sunrise/sunset. Perhaps these people have never seen the dramatic color in the Florida Everglades during this golden hour. It is something to behold! The bright orange color fills the sky, clouds add to nature’s masterpiece making for one of the most beautiful sunrises/sunsets you will ever see! Are you searching for something fun to do? Something everyone will talk about for years after? The answer is simple, take an airboat ride! These boats are loud, fast and can skim across the narrow waters of the Everglades with ease. 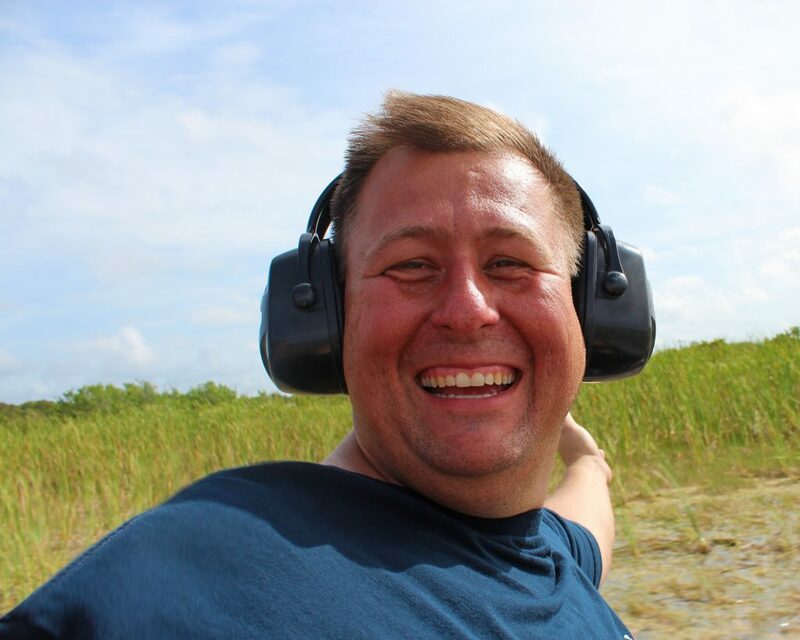 A good airboat driver will maneuver the boat having you holding onto your seat in excitement! You will have the opportunity to see wildlife up close while having the wind blow through your hair. The mosquitoes will not have a chance! Everglades has three authorized airboat businesses that offer airboat tours within Everglades National Park: Coopertown, Everglades Safari Park, and Gator Park. Shark Valley is best explored by the 15-mile scenic loop. 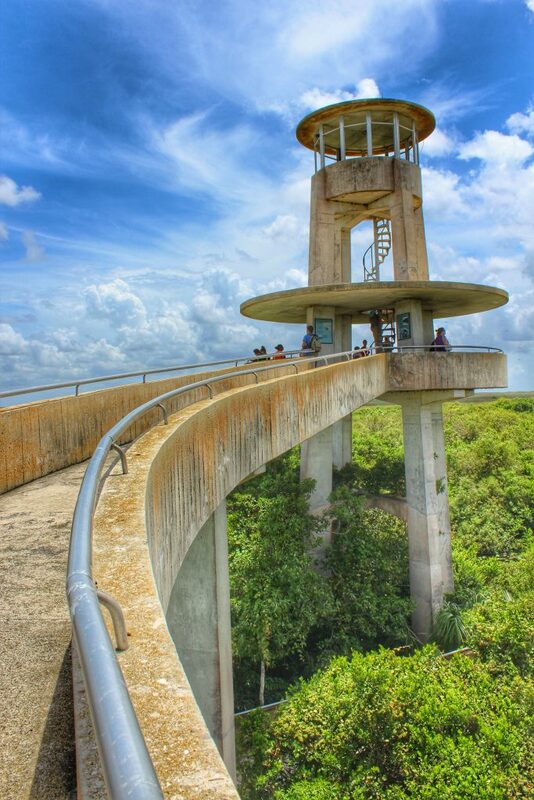 At the half-way point is an observation tower with incredible views overlooking the Everglades river of grass! 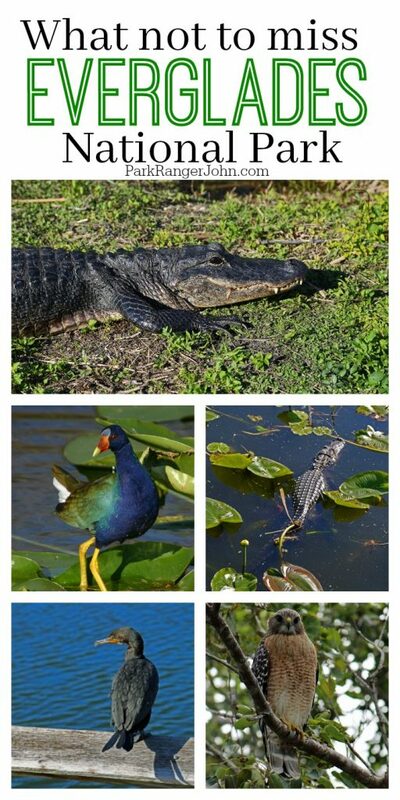 You can also see lots of wildlife along the way including alligators and tons of birds. You can do this trail by hiking, riding a bike or taking the tram. There is a concession on site that rents bikes and you can purchase tram tickets on site. It is recommended to have advance reservations for the tram during the busy winter months and often fill up. There is also limited parking so make sure to show up early enough to find parking. For reservations, prices and hours call (305)221-8455. 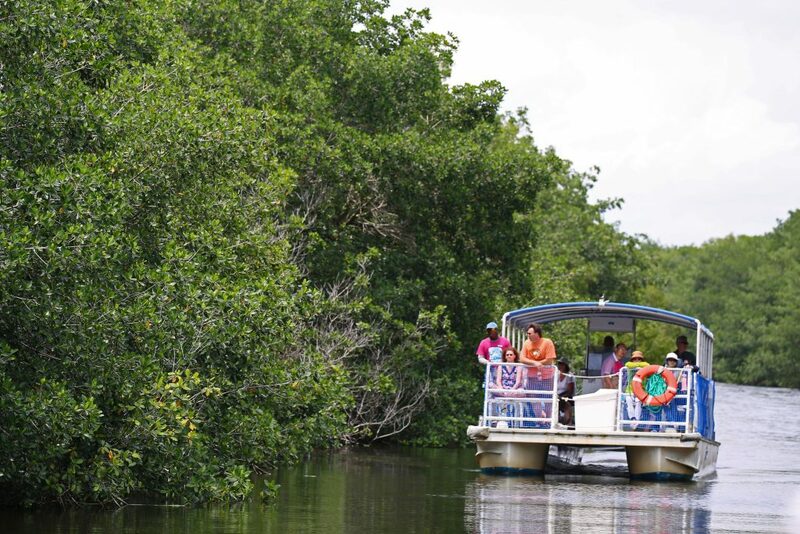 Everglades National Park Boat Tours in Flamingo offers two different boat tours; Backcountry Tour and a Florida Bay Tour. The backcountry tour takes you through the mangroves and the heart of the Everglades. The Florida Bay Tour takes you out in the bay with a chance to see dolphins and other wildlife. You also get a great view of the Flamingo visitor center. 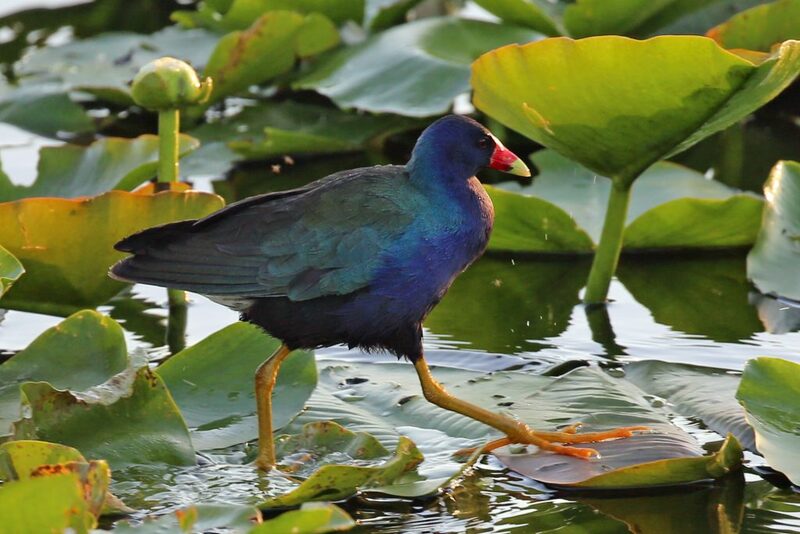 Bird watching is one of the main attractions of Everglades National Park. There have been 366 different species of birds identified within the parks numerous habitat types including the Wood Stork, Roseate Spoonbill, Flamingos, Painted Buntings, Purple Gallinules and Anhingas It’s hard to believe that we have seen a whopping 90%-95% loss of the bird population in the Everglades. This is due to the widespread slaughter of wading birds for their plumes in the early 1900’s and intense water management practices over the past 90 years. Despite this, there is still great locations to go bird watching including the Anhinga Trail, Eco Pond, the Gulf Coast Visitor Center, Mahogany Hammock, Mrazek Pond, Nine Mile Pond, Paurotis Pond, Shark Valley and the Snake Bight Trail. Are you an experienced paddler? Do you yearn for an epic adventure? If yes then the Everglades has a trail for you! The 99-mile wilderness waterway is an adventure taking you into the heart of the Everglades. Most people take at least eight days to complete this voyage with lots of careful planning. You will be required to obtain permits, get a ride back to the area you began and come prepared for anything. You can expect a lot of solitude and a unique experience that the majority of all people who come to parks will never get. I know this may sound silly to some but this is unique. You don’t normally see alligators and crocodiles in the same area. The reason for this is alligators are freshwater only species and crocodiles like brackish waters (where freshwater and saltwater mix). This can easily be done by starting your day entering the south entrance. Alligators can easily be seen from the Anhinga Trail. You can then continue to Flamingo and crocodiles are commonly seen around the boat concession area of the park. It may become a challenge during the summer wet months as the alligators tend to disperse throughout the park during high water. I know that a milkshake has nothing to do with Everglades National Park but it is so worth mentioning! We discovered the Robert is Here fruit stand years ago after spending our first day in the Everglades. We were tired, hungry and thought let’s stop here. There was a huge line for milkshakes and figured if this is where everyone is going there must something to it. I got in line and got a Key lime milkshake. After Tammilee and I tried this wonderful creation Tammilee was in line getting her own and has been a ritual for us ever since! 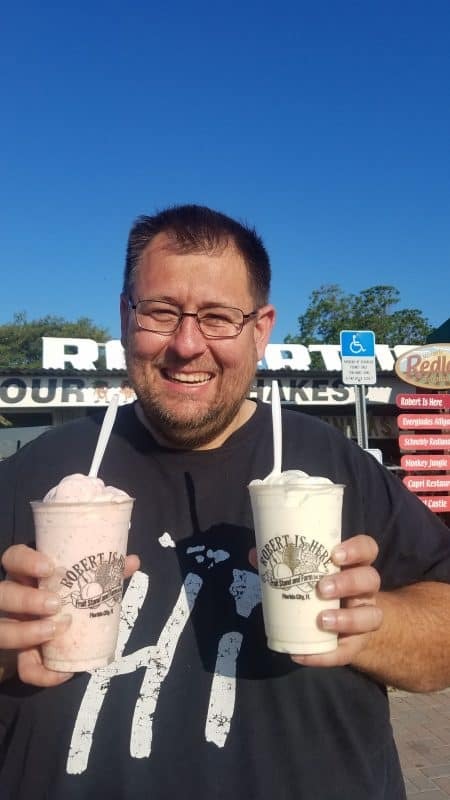 When we go to Miami, we then go to the Everglades and Robert is Here for Key Lime Milkshakes! They make a great treat after a day exploring one of our all-time favorite parks! Robert is Here is open 7 days a week 8am-7pm November through August. If you show up September or October you will be sad to see them closed. Click here for more information on their milkshakes. I hope this article motivates you to visit one of my all-time favorite National Parks! There is so much to see and do in this park for one post, after all, it is 1.5 million acres! So what are you waiting for! Go ahead and start making plans. If you need more excitement about visiting South Florida check out my post on Things to do in Dry Tortugas National Park. 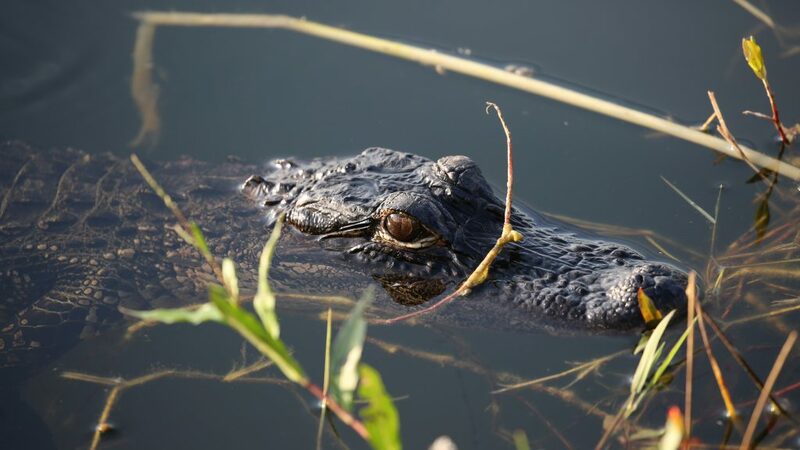 What are your favorite things to do Everglades National Park? Let me know so I can add them to the list!